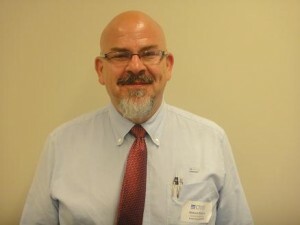 CTI Fellow Named a 2012 MeckEd Teacher of Excellence! Michael Pillsbury (“Entertaining with Math”), a CTI Steering Committee Member and Local Fellow, has been named a 2012 MeckEd Teacher of Excellence! MeckEd was flooded with nominations from many principals seeking to recognize teachers who are extraordinary educators and leaders. MeckEd collaborated with CMS officials to narrow the pool of impressive nominees down to 40 teachers. Michael’s remarkable accomplishments and unyielding dedication to students shined throughout this highly selective process. Posted on May 22, 2012 by clas-web. This entry was posted in CTI News. Bookmark the permalink.